Top Business Executives Do Require Protection! Posted on: In: Blog | Comments Off on Top Business Executives Do Require Protection! There are many reasons why top business executives need protection from people with bad intentions towards their person. For example, an employee might have been let go a few months ago, meaning that he has had enough time to obsess and decide the kind of an action to take against the person who sacked him, in this case, a top manager in the organization. His intent might not be limited to a verbal assault, but also to a full-fledged physical attack or even worse, a kidnapping. Or it might also be retaliation from disgruntled employees who lost their livelihood when the company they were working for decided to downsize. Now they want to confront the top most executive to demand an explanation. Maybe they are of the opinion that their efforts were not properly recognized and thus want more compensation for the same. There are many reasons why people want to confront those in positions of power, some of which are not so good. Top business executives are particularly venerable to these kinds of attacks and hence needs to be protected round the clock. The best people to do this job are professional security guards and that specialize in V.I.P. protection. What happens when the executive is not at his place of work? There are generally three places where danger can strike in the life of an executive. These are at home, workplace and while in transit. To make sure that these highly important people are safe at all times, business organizations hire the services of highly trained security guards to protect them round the clock. These security agents are specialized individuals that protect celebrities, VIPs, politicians, religious dignitaries and corporate executives on a day to day basis. It does not matter whether the executive is in his workplace or not, his protection is provided 24 hours a day by highly trained security guards. V.I.P. security programs are designed around the lifestyle of the people being protected. This means preparing, planning and anticipating for any contingency that would place the life of the person being protected in danger or in a life-threatening situation. The aim is to deter an attack or even a confrontation such as those earlier discussed rather than exposing the individual being guarded in danger. Simply put, the essence of this kind of a protection is to remove the person being guarded from the harm’s way. What is difference between man guarding and close personal protection? Man guarding involve ensuring the lives of people in a premises are safe and the properties in it. Executive protection or close personal protection on the other hand involves the protection of one’s life by another individual. This kind of protection is offered by highly trained guards that put themselves in danger for the security and safety of the person being protected. Think about the people who protect the president of a country to get a clearly picture of who these kinds of security personal are and how they work. The main focus when it comes to executive security is guarding a given individual instead of the premises and properties within it. Their main focus is to keep the individual out of the harms’ way and thus keeping him alive at all cost, even at the expense of the guard himself. Executive or close personal protection is the most serious of all categories of human security. This means that people in it have to be highly trained, honest and ready to take the bullet for the sake of keeping their employers safe. Their main duty is to bring together all available security measures to secure the life of the person being guarded. 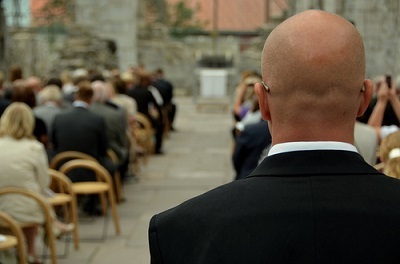 What does executive protection involve? To keep an executive out of the danger way, certain measures have to be taken by those guarding him or her. These measures include taking advance security surveys, preparations, planning and implementation. It also involves taking care of the physical and psychological concerns of the individual being guarded. It also involves quickly adapting to variable situations depending on the immediate requirements of those being guarded. Advance preparations in executive security consist of electronic and technological eavesdropping, defensive tactics, threat assessment, environmental security engineering, etc. Though commonly referred to as body guarding, executive protection is more than that and thus requires more professionalism and skills than muscles. It is more about using the brain to keep the person being guarded out of the danger way while still carrying out their duties rather preventing them from it. In simple terms, security guards that are involved in executive protection are highly skilled and specialized individuals with proper education, skills and training. This makes them ideal when it comes to protecting individuals such as top managers in the corporate world. Thiers is not to prevent people from seeing the executive but to prevent danger from happening to them. To be able to do this, these types of security personnel must be able to anticipate danger and act accordingly. This calls for more brain power than muscles! Why Should A Shopping Mall Consider Hiring Trained Uniformed Security Guards? Posted on: In: Blog | Comments Off on Why Should A Shopping Mall Consider Hiring Trained Uniformed Security Guards? All kinds of unwelcome incidents, some violet and others not, regularly happen at shopping malls around the country. The violent types of incidents have constantly hit the headlines in recent years. And because it isn’t practicable for shopping malls to have their own police force, their managements have opted for uniformed security guards to guarantee the security of their shoppers. These highly trained guards effectively perform the same functions as uniformed police. Here are some reasons why a shopping mall should consider having its own force of properly trained uniformed security guards. Having a force of veteran security guards around the shopping mall and that know what they are doing is good public relations. When shoppers see uniformed security guards around the mall, they feel more secure. A secure shopping mall is really attractive to the shoppers, something that means more profit for the owners. And because the shoppers feel that the mall management is making efforts to keep them safer, they and their friends always come back for more shopping. Having personable uniformed guards in a shopping mall has a positive effect on the premises’ image where the shoppers are concerned. Uniformed security guards are a good visual deterrent for would be trouble makers. The sight of uniformed security guards is an effective way of deterring trouble in a place as potential trouble makers are forced to think twice before executing their plans. A uniformed security guard enforces all the rules set by the management of a shopping mall. If for example a mall has a “No Pets Allowed” policy, it is the duty of the security guards to enforce the rule. The impact of a uniformed guard asking a patron who brings a pet into the shopping mall is much greater than if done by a person in plain clothes. Simply put, people will notice and do exactly what they are told by uniformed guards in a shopping mall compared to when the same request is by a person in plain clothes. Enforcement of mall closing or opening rules is better handled by uniformed security guards than by plain-clothed people. In case of a mishap in the shopping mall, a security guard can act as a good and reliable witness in a court of law. In fact, most states require security guards to be licensed before being employed in this capacity. While in their training, uniformed security guards are taught about laws that pertain to crimes such as what constitutes assault, burglary and many others they might come across in the course of their duties. This ensures that incidents such as false arrests are avoided in a shopping mall. They also ensure that proper witnessing standards are followed when such incidents do occur. Quite a number of insurance service providers offer huge savings on their premiums for malls that have full-time uniformed security guards on duty. Investing in properly trained uniformed security guards guarantees security for all people that come in the premises for any number of different reasons. This assures a better bottom line for the mall owners as people are more comfortable coming in a mall that has uniformed guards around. 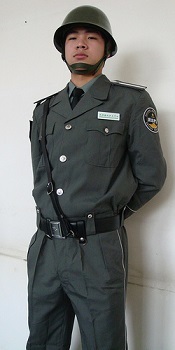 Compared to plain-clothed guards, uniformed security guards are more reliable in their duties. They also adhere to a set work schedule guaranteeing consistent performance in their duties. In fact, these types of guards are more mature professionally compared to those that don’t wear uniforms. In most cases, these guards have gone through the right type of training, with some having been former policemen or retired military personnel. These people are thrilled to replicate their training in their work places. The today’s technologically driven workplace requires people who are self disciplined in their work. It requires employees that can be able to respect all rules set by the employers and not those who will spend all their time online chatting with friends. Uniformed security guards are trained to work toward efficiency and productivity. They are also trained to ask for guidance when needed and exercise self-discipline in a professional setting. Compared to plain-clothed people, they are more motivated in their duties around the shopping mall. Properly trained uniformed guards not only have a proper understanding of a workplace diversity, they also have good communication skills. Most of these people, particularly those with a military training and work background, also speak more than one language as they have extensively travelled around the country or the world for that matter. This means that they understand the nuances of national and international communication making them better at their jobs. All in all, uniformed security guards have most of the desirable attributes that all shopping mall owners or management go seeking for in their search for top notch talent for the coveted positions of securing their premises.